Home Tags Posts tagged with "african elephant"
On the last day of the first Giants Club summit, President Uhuru Kenyatta has set fire to a huge stockpile of ivory in an effort to show Kenya’s commitment to saving Africa’s elephants. The ivory represents nearly the entire stock confiscated by Kenya, amounting to the tusks of about 6,700 elephants. Before igniting the first pyre, President Uhuru Kenyatta said: “The height of the pile of ivory before us marks the strength of our resolve. 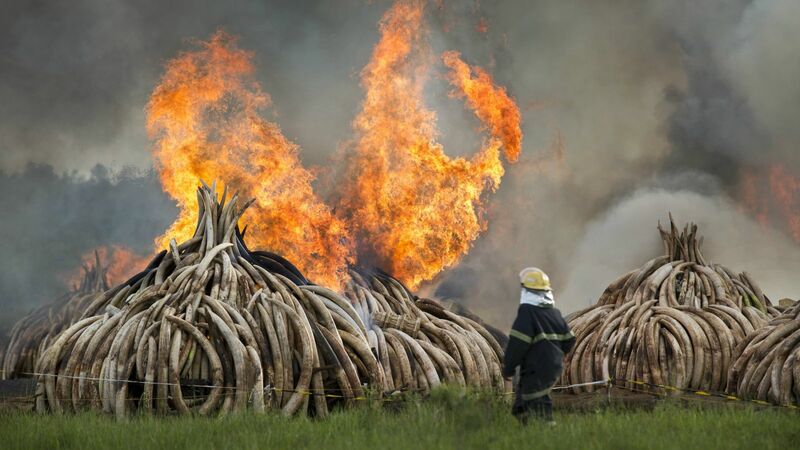 The burning comes after African leaders meeting in Kenya urged an end to illegal trade in ivory. Experts have warned Africa’s elephants could be extinct within decades. However, some conservationists have expressed opposition to the ivory burn in Kenya, the biggest in history. They say destroying so much of a rare commodity could increase its value and encourage more poaching rather than less. Botswana, which is home to about half of Africa’s elephants, is opposed to the burn and its president did not attend the event in Nairobi. 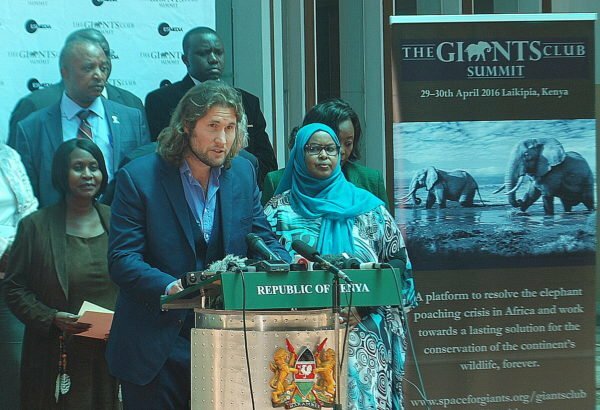 Demand for ivory comes largely from Asia, with the main trafficking route being through the Kenyan port of Mombasa. Africa is home to between 450,000 and 500,000 elephants but more than 30,000 are killed every year for their tusks. Tanzania has lost 65% of its elephant population in the past five years. The Kenyan ivory pyres are seven times the size of any stockpile destruction so far, and represent about 5% of global ivory stores. The street value of the ivory to be destroyed is estimated at more than $100 million, and the rhino horn at $80 million.